Riah maybe better known to some as contestant Mariah Butler from Galway, who was on Team Dolores for ‘The Voice of Ireland’ a few years ago. What I remember most about her was not just her country music performances, it was her natural born-to-sing country talent and style. Nashville was most definitely going to be the place for her to progress and learn and it is there that she now resides. Upon winning ‘The American Country Star’ competition, this opened up many doors and opportunities that have now lead to the recent release of her debut EP ‘On Sundays’, which took the No. 1 spot on the iTunes Irish Country Album Chart! She’s not just a singer, singing country music. 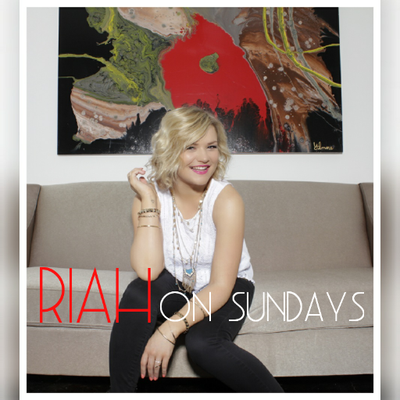 Riah is an authentic country music artist. Her vocal is untouched and not improvised and her distinctive style and range are both solid and genuine. She is the real deal and yes world, she’s Irish! With a set list containing all of the EP tracks and very worthy covers, Riah was on top form in Monroes. She is so comfortable on stage and in her own skin. Her personality is sparkling and her stage presence is magnetic. She’s so relaxed and confident and brings good fun and energy to the table. Smiling and laughing in between songs with her band and her home crowd, she’s very true to herself, a born entertainer. Her band must be complimented on their vocal and musical arrangements for the set. They brought their gifts and support to her originals and raised the bar for her covers of ‘Crazy’, ‘Momma’s Broken Heart’, ‘Before He Cheats’, ‘80’s Mercedes’ and the honest sassiness of Kacey Musgrave’s ‘Follow Your Arrow’. She performed ‘The River’ by Garth and she didn’t even have to mention his surname. How many country artists do we know and love by their first names? Reba, Dolly, Johnny, Emmylou, Kenny, Faith, Willie, Martina, Carrie, Brad. These are her peers and her influences and she really appreciates them. When I first listened to Riah’s demos on Soundcloud before Nashville beckoned, my two favourite covers of hers were The Eagles country rock tale ‘Desperado’ and the emotional journey of ‘Travelling Soldier’ by the Dixie Chicks. I was so delighted to see and hear her perform those again as her own contemporary versions, in her own unique way. Her EP cuts to the chase. This is who she is and how she’s doing it. Recorded in Ronnie’s Place (Country stalwart Ronnie Milsap’s studio), she showcases her adaptability, musicality and powerful range on a great mix of songs, ranging from upbeat, sultry vibes like ‘Politician’ and ‘Tombstone’ to other spiritual growth and wisdom offerings. Track 2 ‘On Sundays’ and track 6 ‘The River In Me’ are autobiographical. You’ll know when you hear them. She’s taking a new country style to country music with a pop/rock edge and a twist of Americana. Riah knows her product and she knows her audience. This is her EP and her story so far. Her strengths lie in her vocals and her consistency. There is a lot of love through very hard work, evident all over it. Galway’s loss is Nashville’s gain and I’ve no doubt we’ll see her back soon doing what she does best and smiling! The final track contains the line ‘You can’t stop the river in me’. Nothing is going to stop the river in Riah.